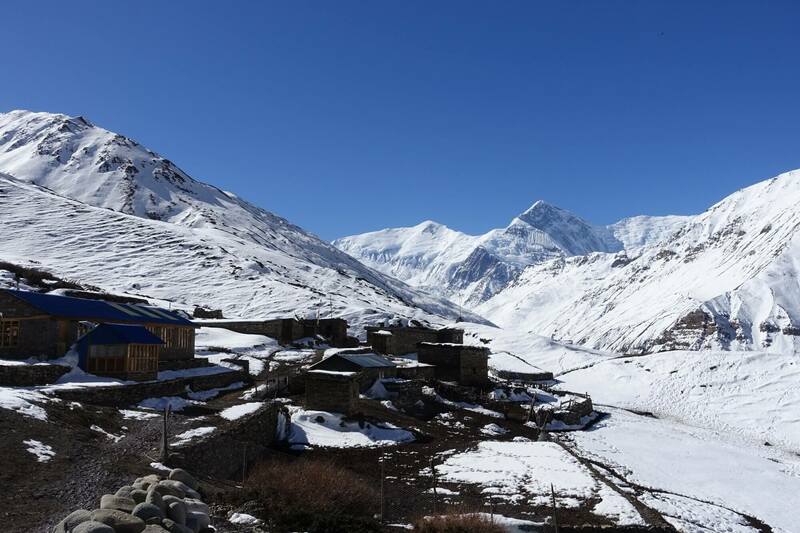 Jomsom and Muktinath Trek is a part of the Annapurna Circuit and a very popular trek in Nepal. Jomsom is a great place to start trekking. The diverse landscapes and cultures to be found along the trekking routes give marvelous insight into the way of life of rural Nepali people. A highlight is trekking through the gorge carved by the Kali Gandaki River, which originates in the Tibetan plateau to eventually flow into the Ganges in India. 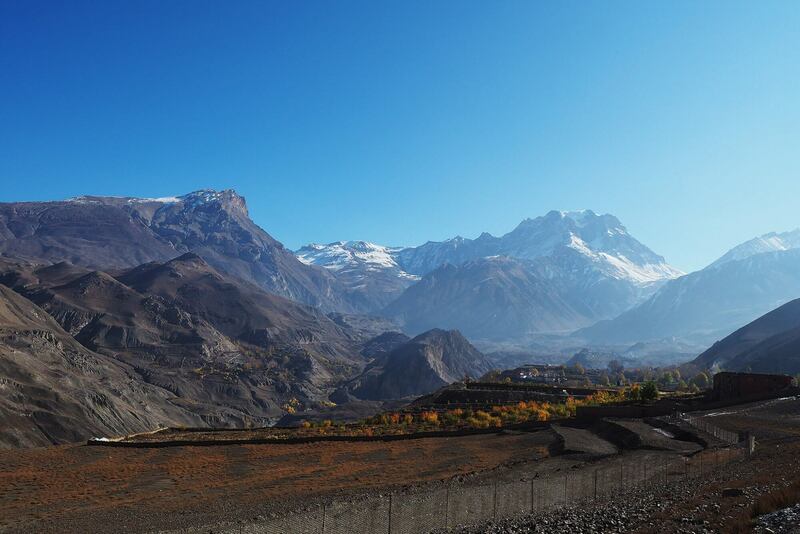 Not too far from Johnson, you find Muktinath, the famous pilgrimage site for Buddhists and Hindus. 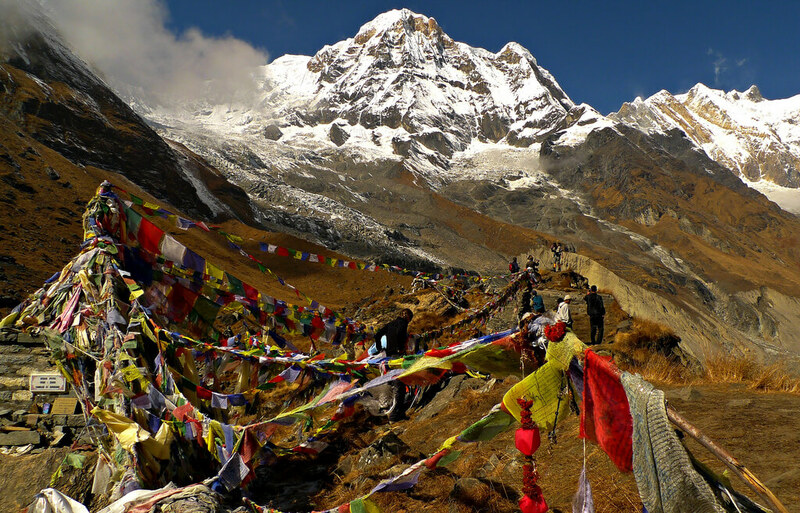 To Hindus, Muktinath is a sacred place of salvation. They believe that bathing in the waters here guarantees salvation after death. The Hindu god, Brahma, is said to have lit the eternal flames that burn at Muktinath. To Buddhists, Muktinath is a place where the great sage guru Rinpoche (Padmasambhava) came to meditate. The area is a perfect place to find fossilized ammonites, known locally as Shaligram, which are found all along the upper reaches of Kali Gandaki. This part of Nepal is inhabited by Gurungs and Magars in the lower regions of the Kali Gandaki, Thakalis around Jomsom and people with obvious Tibetan roots, the Lopa, around Muktinath and up to Mustang. Their customs and attire are distinct and this trek is ideal for observing the diversity of the people and their customs. Hinduism dominates the lower parts while as one climbs further up, Tibetan Buddhism predominates. If you happen to be in Muktinath in early September, you are likely to be in time for one of Nepal’s unique festivals, the annual horse race known as Yartung. This is a week of some serious horse racing, Tibetan style, and some equally serious merrymaking. Most of the route along the Jomsom trek has been described as part of the Annapurna circuit and Annapurna foothill treks. The usual starting point is Naya Pul on the Pokhara to Baglung road and from there, via Ghorepani and Tatopani, into the gorge of the Kali Gandaki. 15 minutes scenic mountain flight from Pokhara to Jomsom. Beautiful panorama of Mt. Annapurna1(8091), Mt. Dhaulagiri (8167m) and Mt. Nilgiri (7061m). Amazing Kaligandaki river and fossils are found on its bank. Landscape looks like Tibetan plateau. Muktinath temple, the pilgrimage center of Hindus as well as Buddhist. Unique culture, lifestyle of Thakali, the indigenous group of north western part Nepal. Traditional agriculture system of local people. Welcome assistance by Sherpa Guide Nepal representative at the Tribhuvan International Airport and transfer to hotel in Kathmandu, rest at the hotel and briefing about the trip. The 15 mints flight is the best mountain flight as it passes through the world's deepest gorge wedged between Annapurna I (8,091 m) and Dhaulagiri I (8,167m). Jomsom is a small town on the base of Nilgiri Himal. We will mostly follow the river bed of Kali Gandaki to Kagbeni. Visit old Kagbeni with 500 years old monastery. Muktinath is an important place of pilgrimage for Nepalese of both Buddhist and Hindu faiths as these two religions are intricately woven together in Nepal. We visit the main temple in the morning and tour its surrounding. We can admire the water spouts before paying a visit to a Buddhist monastery nearby. From Muktinath, we retrace our steps back to Jomsom, enjoying good views of Mt. Dhaulagiri. Overnight in Jomsom. We take an early morning flight to Pokhara. The airplane passes through a gorge between Annapurna and Dhaulagiri mountains making the flight itself an amazing experience. After arriving in Pokhara, the beautiful ‘Lake City’, we can spend the rest of the day in leisure. Boating in the Fewa Lake and strolling in the quaint streets of ‘Lake Side’ is a popular choice among visitors. Overnight in Pokhara. After breakfast, we say goodbye to the beautiful northern skyline of Pokhara and drive towards Kathmandu. This will be a journey along river banks with wonderful views of terraced hills and the rural Nepalese lifestyle. After reaching Kathmandu, we take a rest or do some souvenir shopping. 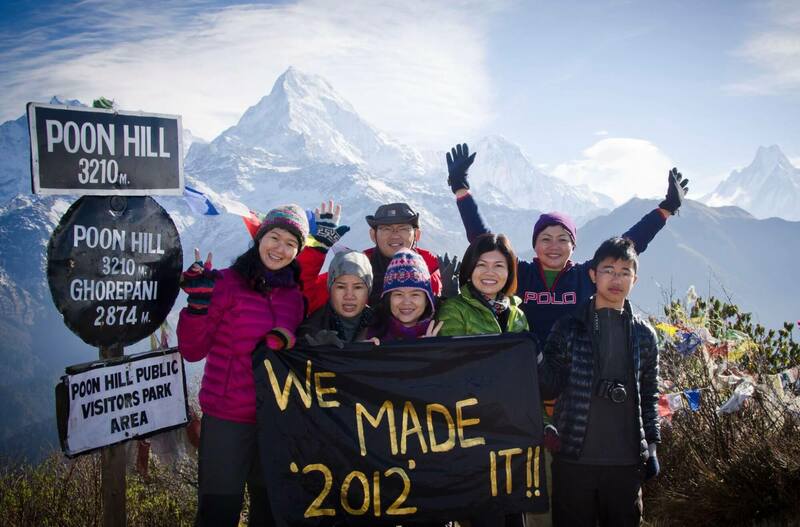 To celebrate the successful completion of our journey, we will have a farewell dinner in the evening. Overnight in Kathmandu. Our Jomsom Muktinath Trek in Nepal comes to an end today! A representative from Sherpa Guide Nepal will take us to the airport approximately three hours before the scheduled flight.